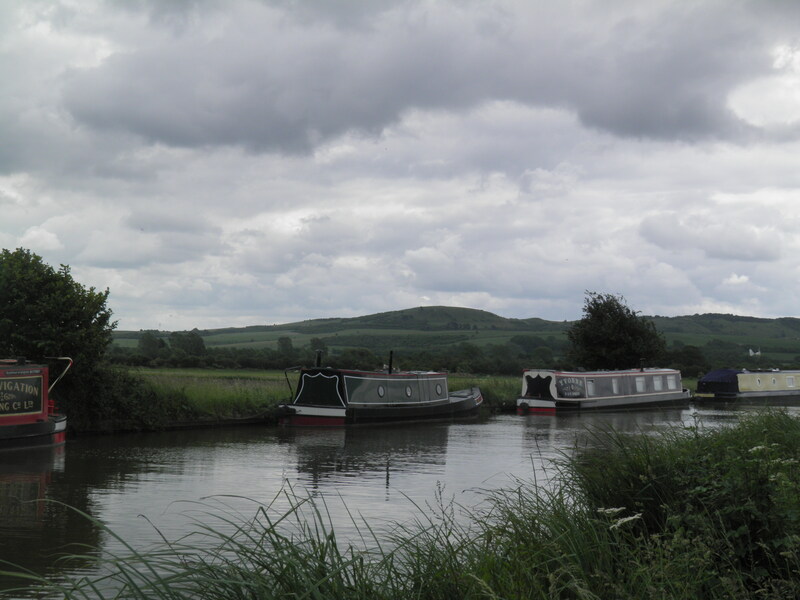 A walk of contrasts, starting with a gentle stroll along the often idyllic Grand Union Canal, before ascending to the dramatic grassy heights of Ivinghoe Beacon, at the end of the Ridgeway. 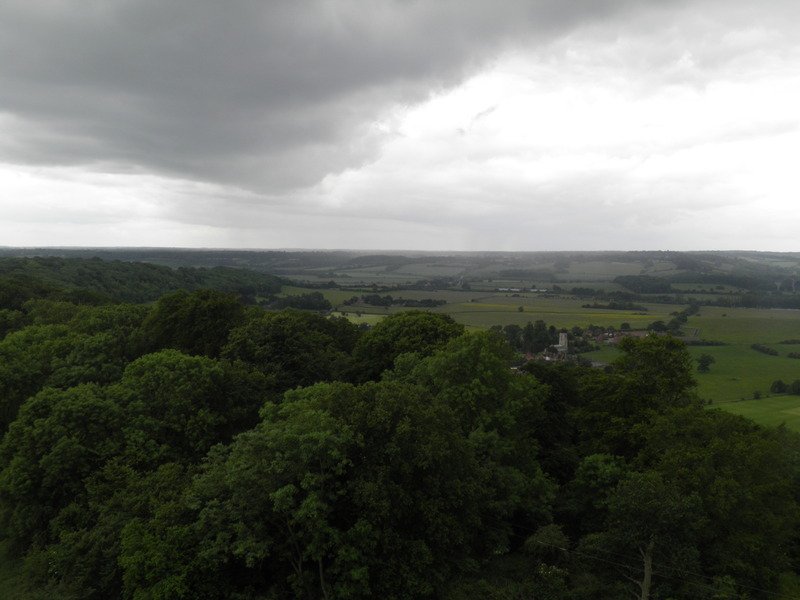 There then follows a woodland walk through Ashridge Park to the artificial viewpoint of the Bridgewater Monument. Underfoot: The first mile from Cheddington station crosses fields which may be muddy due to livestock. Beyond, the canal towpath and the upland paths are almost always dry and well drained. 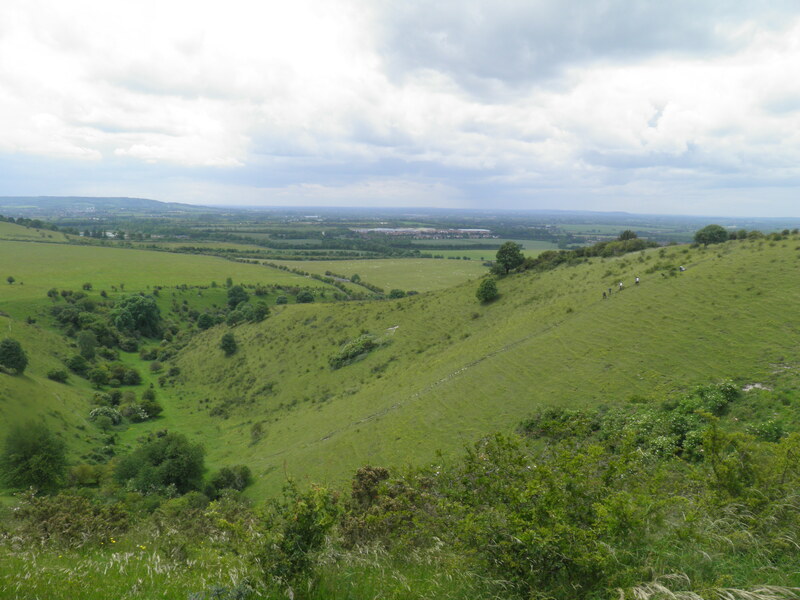 Terrain: There is a steep ascent to Ivinghoe Beacon and an even steeper descent to Aldbury. Otherwise the route is completely flat (along the canal) or has very gentle ascents and descents. Getting there: Cheddington is on the West Coast Mainline, but is a rather isolated halt, with a limited number of trains. Daily, there is an hourly London Midland service from London Euston (40 mins), via Watford Junction (23 mins) for London Overground and connections from East Croydon and Clapham Junction. 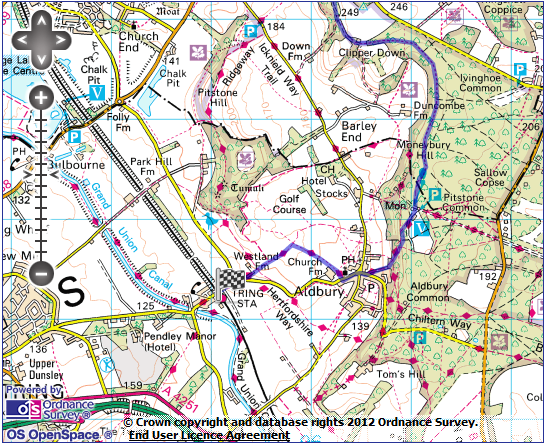 Useful websites: The walk follows parts of the Grand Union Canal Walk and the Ridgeway. 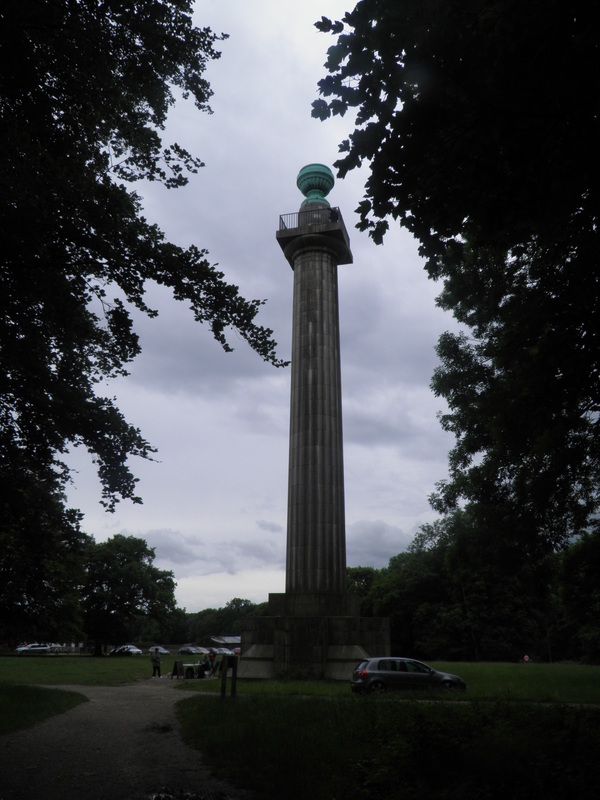 The route passes through the large National Trust property of Ashridge Estate, which includes the Bridgewater Monument. Getting home: Tring is served by 3 London Midland trains per hour (2 per hour on Sundays) to London Euston (37-42 mins), via Watford Junction (16-20 mins) for London Overground connections. Monday-Saturday, there is 1 Southern service per hour to East Croydon (73 mins), via West Brompton (50 mins) for District Line and Clapham Junction (60 mins) for London Overground. On Sundays, change at Watford Junction for these destinations. 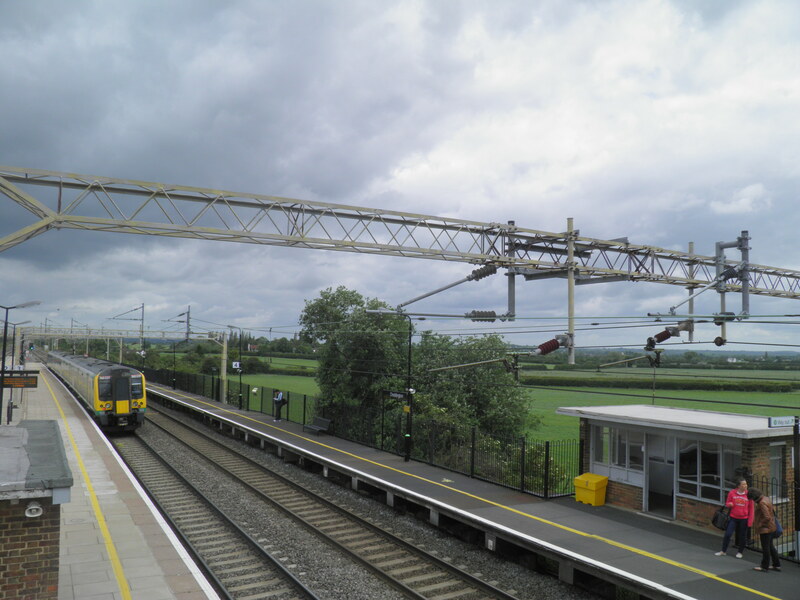 Fares: An off-peak return to Cheddington for £14.50 (child £7.25, railcard £9.55) will cover both journeys. straight out onto a huge plain of flat arable fields, the village it serves a good half mile away, and an endless stream of express trains racing through at full speed. 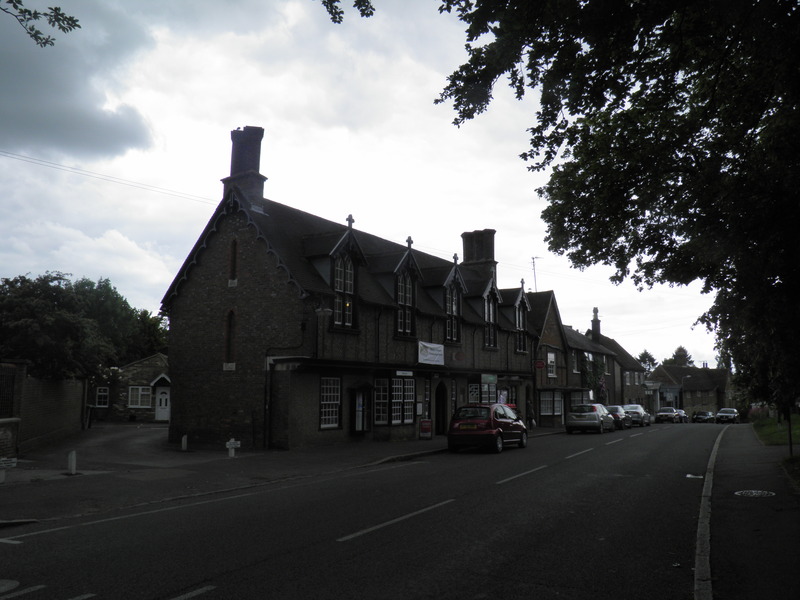 Until 1953, it had a little more life as a junction for a rather minor branch line to Aylesbury High Street. Given the isolation of the area, it is perhaps not surprising that it was a spot a couple of miles north of here that a gang led by Bruce Reynolds chose to stop the Glasgow-Euston postal train on 8 August 1963, in what was to become know as the Great Train Robbery. reach platform 1. 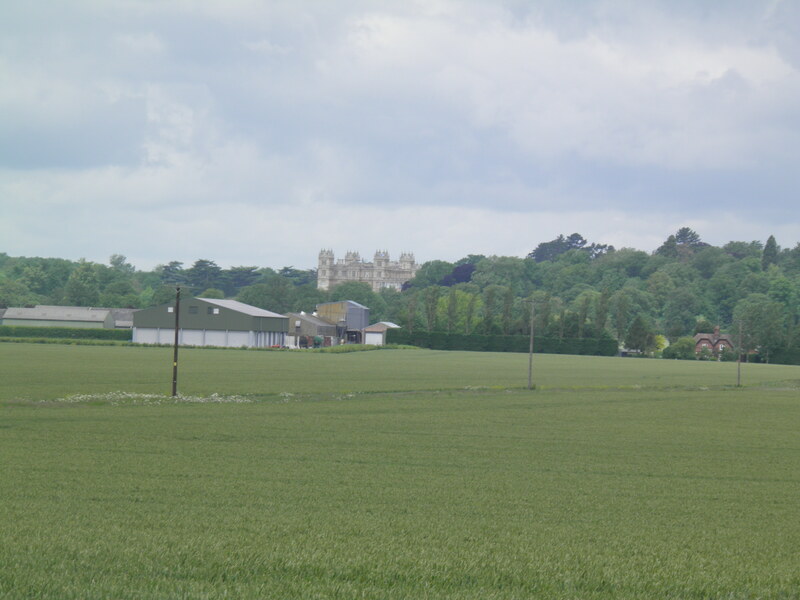 As you cross, note the turrets of Mentmore Towers hidden in the trees to the right. Exit into the car park and walk down the station access road. As the road curves right (this is the former route of the Aylesbury branch line), look out for a small path cutting through the hedge to your right. Take this, quickly joining a bridleway along the field edge, which you follow to the right, back past the station and alongside the railway embankment. along a grassy path to the busy B488. Take the signed footpath opposite into the pastures, with views of Ivinghoe Beacon on the southern skyline. Follow the left hand field edge, ignoring the path to the left and continue into a second field. Ahead, a stile leads you past (noisy!) kennels and to a second stile into a rather overgrown orchard. A very faint path leads through the trees to a waymark post on the far side, where you turn right to reach a stile in the bottom left hand corner of the orchard. Follow the field edge ahead and cross a stile onto a narrow bridleway between hedges. Turn right, swinging round the corner to the left to soon reach the lock-keepers cottage at Horton Wharf. Before the canal bridge turn right along the towpath for around 3km. 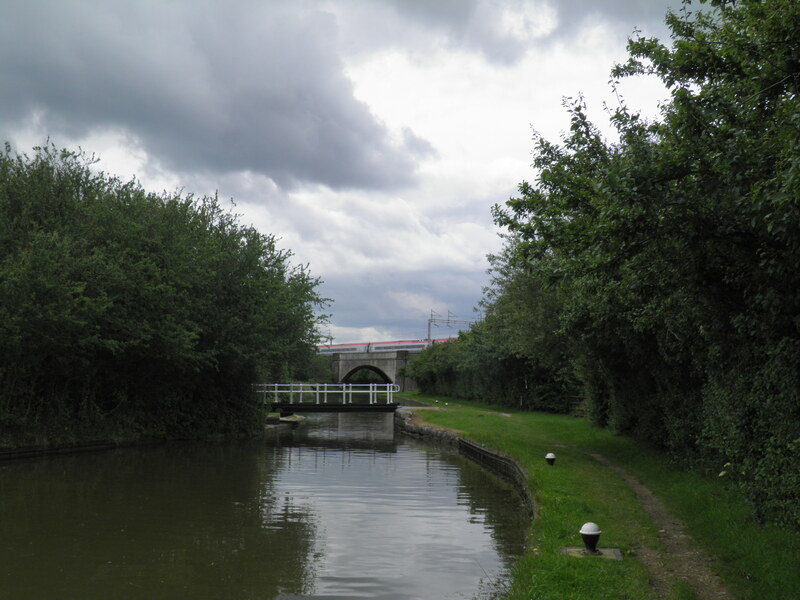 This is part of the Grand Union Main Line, a 137-mile amalgamation of waterways that links London with Birmingham, married together in the 1920s, demonstrating the importance that it retained as a commercial route well into the railway age. This is a broad canal, designed to take larger boats, as the size of the locks and bridges testifies. 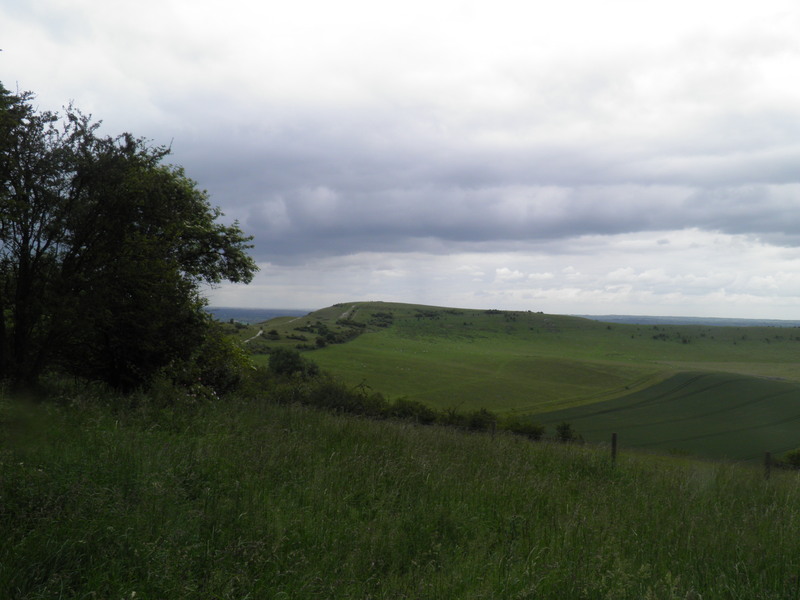 As you head south towards Ivinghoe locks, a fine view of Whipsnade’s chalk lion opens up on the left. Bedfordshire outpost. The lion, almost 150m long, was cut in 1933, before being covered over temporarily during World War 2. It is home to a colony of wallabies, though you’ll be lucky to pick them out from here! Beyond busy Ivinghoe Bridge, marked as bridge number 123, the canal becomes more curvaceous and passes the 3 well-spaced Seabrook locks. Shortly after the 3rd lock, and just before the canal passes under the railway, cross a swing bridge to follow a broad, well-surfaced path to a busy road on the edge of Pitstone. left on dead-end Chequers Lane. At end of this suburban cul-de-sac, by Orchard House, keep straight ahead on a fenced foot path. Into open fields, the path runs along the back of the houses bordering on to them, before cutting between hedges towards the houses of Ivinghoe. At a path junction by a footbridge, keep straight ahead on a tarmac path beside the stream, to emerge by the Bell pub at the point where Pitstone becomes Ivinghoe. 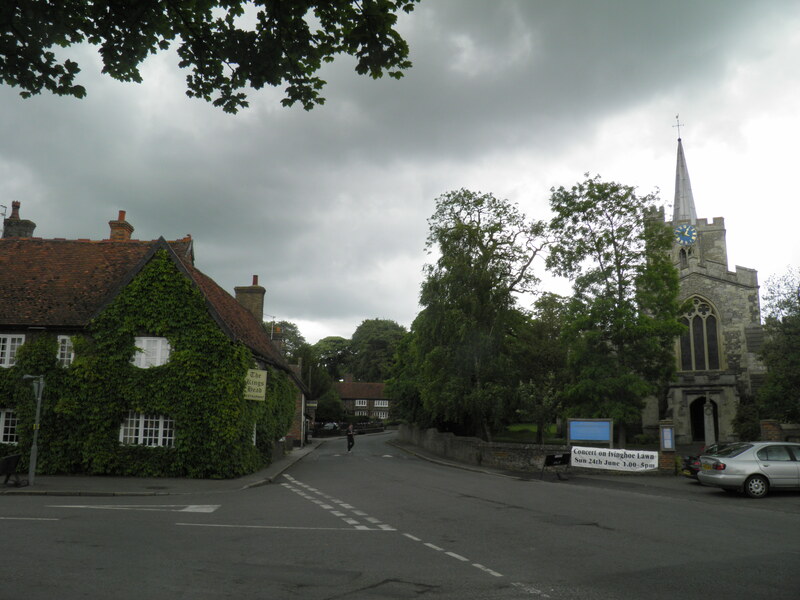 centre of Ivinghoe, with half-timbered houses, the creeper-covered King’s Head and its mock Tudor town hall. 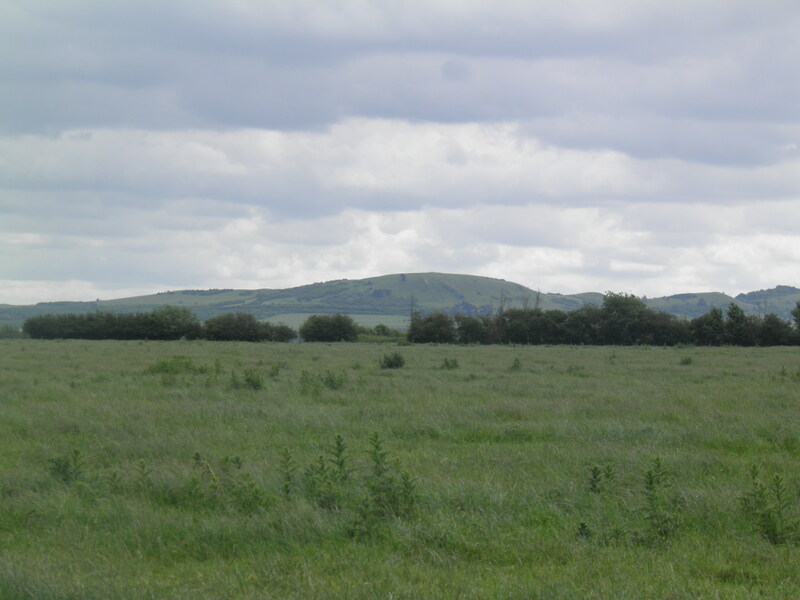 Ivinghoe has a long history, thanks to its position on the Icknield Way, the ancient east-west trackway along the chalk spine of hills, as the range of styles and ages of buildings makes clear. 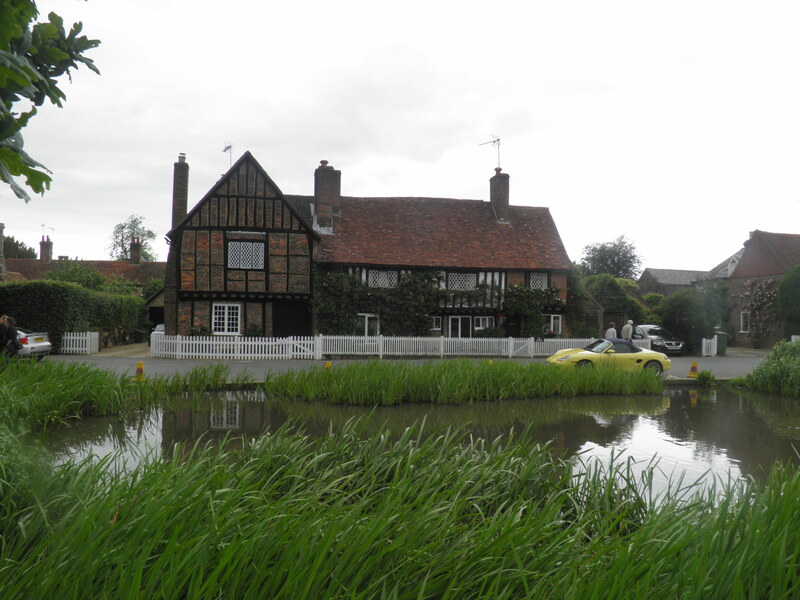 The village is clustered round a ‘lawn’ rather than a ‘green’, and its ‘town hall’ would be better titled a village hall, but given the building still contains a library, post office, village shop and council meeting room, why quibble? The village church, in a rather compact crucifix-shape, dates from the 13th century. Continue straight ahead on the main road past the church, following it as it swings right to leave the village. 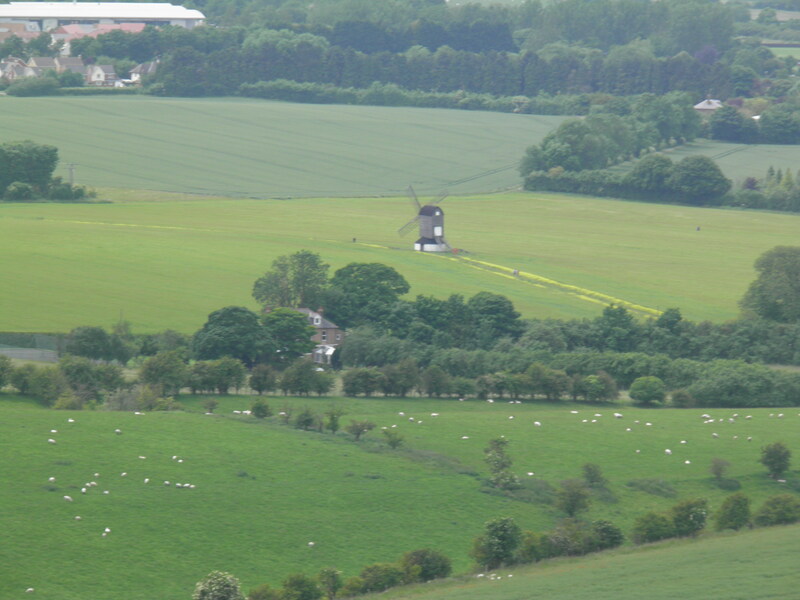 As you walk along, you get a view of the restored Pitstone windmill sitting lonely in the centre of a field to the right. Believed to have been built in 1627, Pitstone windmill is probably the oldest surviving windmill in the British Isles. A so-called ‘post mill’, the wooden superstructure rests on a single post, allowing it to be turned to face the wind. After 300 years of grinding Pitstone and Ivinghoe’s corn, the mill was damaged beyond economic repair by a freak gale in 1902, leading to its donation to the National Trust in 1937. Eventually, in 1970, it was restored to once again grind corn. At a road junction, keep straight ahead towards Aldbury and Aylesbury, but after 20m turn left on a fenced footpath (signed to Ridgeway and Ivinghoe Beacon). 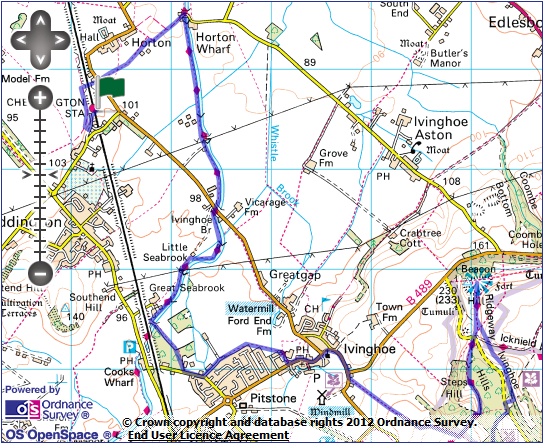 To visit Pitstone winmill, continue along the road for a further 100m, then turn right along its access track. 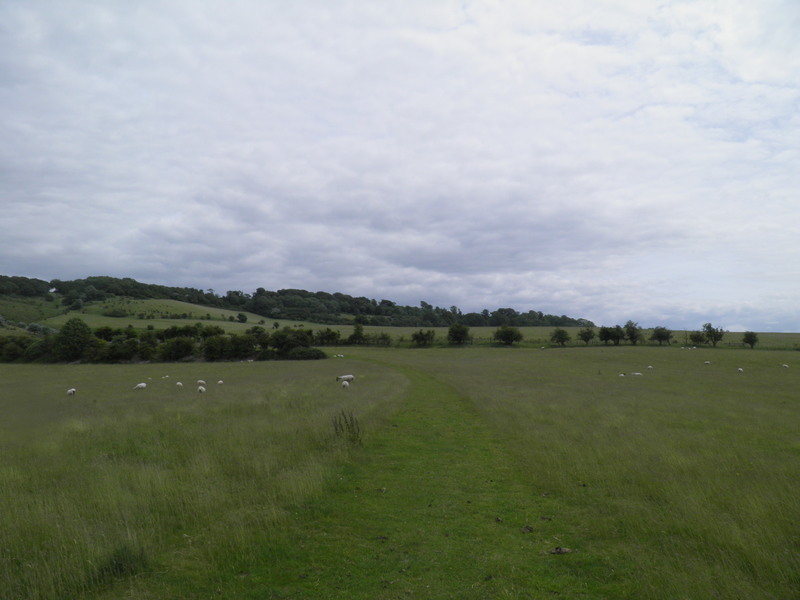 Passing through a footgate into open sheep-grazed grassland, follow the faint track climbing gently ahead, below the ridge of the Ivinghoe Hills. At the next gate, at the edge of an area of access land, continue on the track, climbing beside Incombe Hole, a steep-sided dry valley cutting into the ridge, and an important site for chalkland flowers. swings round the top of Incombe Hole, climbing more steeply with fantastic views across the plain below. Follow the Ridgeway’s acorn national trail waymarks to keep outside the fence. The path crosses a ridge and then drops gently trough scrubby trees to a footgate. Pass through, following a Ridgeway sign, and continue on a clear path to reach a minor road. Cross with care on the near-blind corner, and take the clear chalk path ahead, signed to the Beacon. Follow the acorn waymarks to make the final, steep ascent to the trig point at the summit of the Beacon, with fantastic 360 degree views. the north, references its history as a signal point – archaeological finds suggest it was the site of an Iron Age hill fort around 800BC. Reflecting its heritage, the Beacon is the trailhead of two long-distance walks based on ancient trackways: the Ridgeway runs west to Avebury, and the Icknield Way runs east to Kenttishall Heath in Suffolk. Retrace your steps towards the road. Shortly before reaching it, where there is the option of a chalk path to the left, slightly below the waymarked route, take it. Follow this path straight ahead, ignoring the crossing Icknield Way, as it climbs gently along the hillside, just below the road. Reaching a National Trust car park, walk along its length. Just before the access track joins the road, take the little path left paralleling the road through the trees. On exiting the trees at a crossing track, return to the road and head left. Shortly, just before a cattle grid, turn right on a track (signed as ‘Access to Clipperdown Cottage only’). 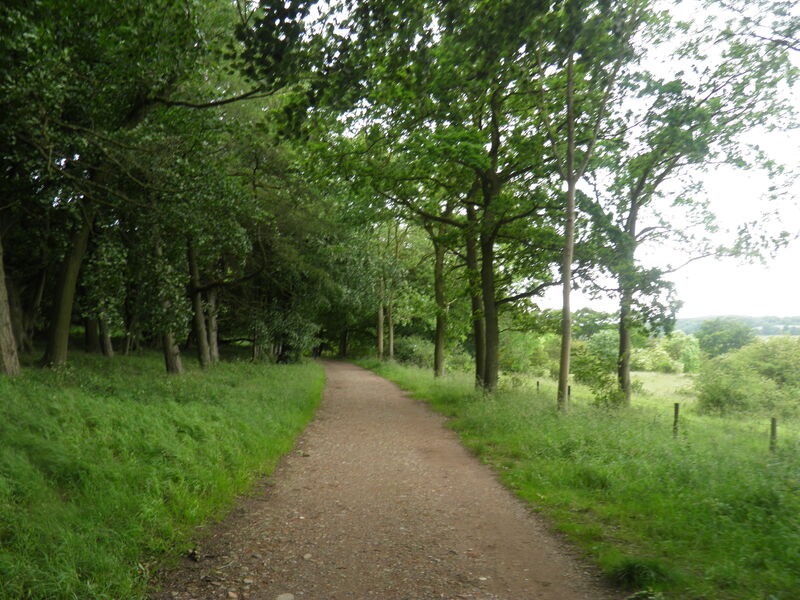 This lovely track is soon running along the hillside through fine mature woodland. After a short rise, keep to the main track as it swings left to Clipper Down Cottage and runs just below it. The track soon re-enters the woods, with occasional views along the vale to Aldbury church nestling below. 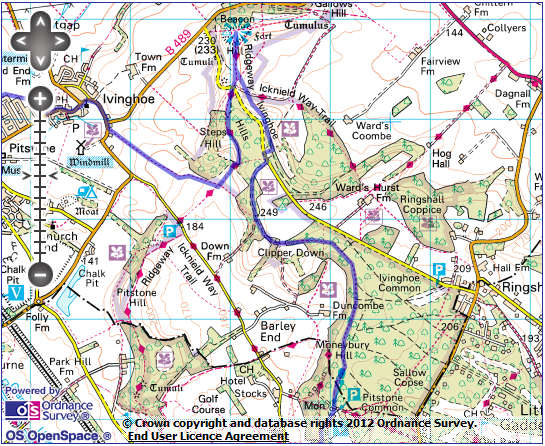 Follow the track for around 2km, eventually passing a log cabin and shortly afterwards crossing a bridge over a dyke, before suddenly emerging in a large clearing by the Bridgewater Monument – with a cafe and visitor centre on other side of clearing. From the clearing, you can see down the length of Prince’s Riding through the trees to the huge buildings of Ashridge, 2km away. originally the seat of the Egerton family, whose most famous member was perhaps Francis Egerton, the 3rd Duke of Bridgewater, who is known as the ‘father of inland navigation’. In 1761, Bridgewater opened his eponymous canal, carrying coal from his mines in Worsley to Manchester, and generally considered to be the first canal in the modern world. His mines and canals made Bridgewater the richest noble in Britain, much of which he spent on rebuilding Ashridge House, now a business college. The 108m tall monument, in the form of a Doric column, was built in 1832, nearly 30 years after Bridgewater’s death – it can be climbed for a small fee via the 170 spiral steps. 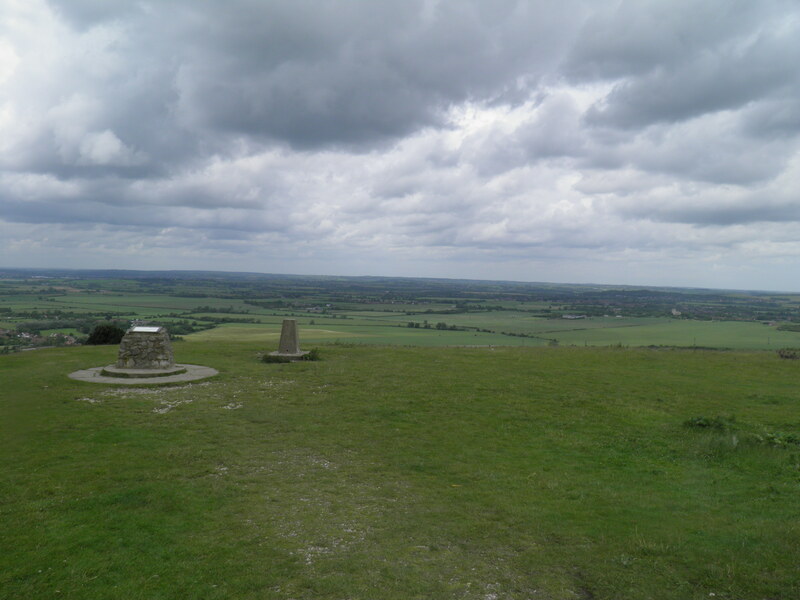 From the top, there are fantastic views across the Ashridge Estate and well beyond, with the arch of Wembley stadium and the Shard often visible. road in front of it. This soon becomes a track, descending trough the trees (bridleway sign). Keep ahead on Station Road past the church. Just beyond, head right through a kissing gate into a field (footpath waymark). Cross a field and walk behind the stable blocks of Church Farm. Just beyond, veer left through a kissing gate to head along a fenced path beside a modern barn. The path continues, between fences and hedges, climbing gently between meadows. At a junction of clear paths at the edge of a golf course, head left (signed ‘To Ridgeway’) along a pleasant hedged bridleway. Keep straight ahead past two path junctions, with views of Tring station nestling below, and you rejoin Station Road. Head right, keeping straight ahead at a road junction. Cross the railway bridge and the station entrance is on the left immediately beyond, next to the old station hotel.